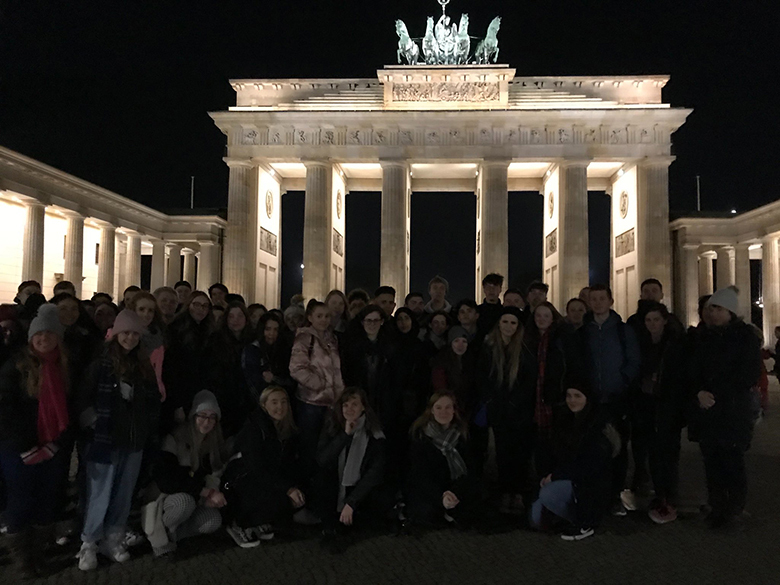 History students at The Sixth Form College, Solihull have just returned from a three-day visit to Berlin to support their World War One and Two studies. 47 A level History students made the trip to Germany to develop their learning for the European History: Democracy and Dictatorship in Germany 1919-63 unit of the course. The trip included stops at the Brandenburg Gate, the Memorial to the murdered Jews of Europe and the Reichstag, the latter including views from the famous dome. Students visited the Sachsenhausen Memorial concentration camp during the visit to get more information on the Holocaust. Also on the itinerary was the Stasi Prison, the main political prison of the former East German Communist Ministry of State Security, the Stasi, where they had a tour of the prison. At the Topography of Terror, they visited the site of the SS Reich Main Security Office under the Nazi regime, now an indoor and outdoor museum. In addition, they went to the Tränenpalast (Palace of Tears), which is the former border crossing at Berlin Friedrichstraße station, where East Germans said goodbye to visitors going back to West Germany. The trip concluded with visits to the House of the Wannsee Conference and the DDR Musuem. The former is a luxurious mansion, which was used for a conference between leading figures in the Nazi government and SS, who met there in 1942 to discuss their so-called “Final Solution to the Jewish Question”. The latter is a museum that focuses on life in the former East Germany (known in German as the Deutsche Demokratische Republik or DDR).